What is gamification and how does it boost performance at work? Do you want to drive loyalty and engagement in your business? Nicole Fallon, Business News Daily Assistant Editor, educates us on the gamification craze taking organisations by storm. Gamification has become a popular tactic for modern companies, and in light of the success of gamified customer experiences in recent years, employers have come to realise that the same concepts can be mirrored internally, to drive employee engagement and satisfaction. By adding elements of games to everyday brand interactions, unlocking rewards through everyday activities, holding social media contests with prizes, etc, businesses have found that both customers and employees become more engaged and want to stick around. The concept of ‘healthy competition’ is encouraged in call centres, as ultimately, most people have a dormant (and sometimes not so dormant) competitive streak. Recent research suggests that employees who undergo a structured onboarding experience are 58 per cent more likely to remain with a company for at least three years. 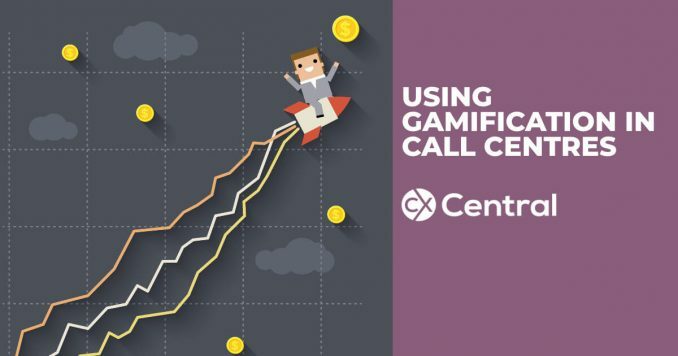 Using gamification in your onboarding process can contribute to greater engagement and therefore greater retention. “Gamification helps break apart training into a clearer, more achievable series of efforts and results. Training progress is celebrated along the way, thus keeping attention and effort on the goals”, says Steve Sims, founder and chief design officer of gamification company, Badgeville. The idea behind gamification is to introduce a competitive element to employees’ tasks, using public recognition and rewards to give them a greater incentive to meet goals, both in their own positions and within the company as a whole. Clearly define and measure your processes. If people don’t know what they’re working toward or what they need to do to get there, your gamification attempts will fall away as failed endeavours, and will likely have the opposite effect on your staff than you’re trying to achieve. Provide quick feedback. An efficient feedback loop will help your program succeed. Being able to provide frequent and immediate feedback via scorecards or goals will allow employees to adjust their performance accordingly. If you’re introducing games, with specific goals to achieve and sets of rules to follow, it’s only fair that the employees have the opportunity to improve their results. Get people invested. gamification only works if your staff members really care about what they’re doing and why. Charlene Li, an analyst at business research firm Altimeter Group, says engagement is not one-size-fits-all, and gamification can’t be, either. Talk to your employees about what motivates them and what kinds of rewards they might want before you implement a gamified system. Gamification works in employee training and engagement for one simple reason: Playing games is one of the most natural ways for people to learn. It can be incredibly effective when it’s done well, but remember, it can also backfire if it’s applied in the wrong ways. It’s important to create a healthy sense of competition, but not so much competition that it ends up demotivating your employees. A final word of advice from Steve Sims; employers should also be careful when they add external rewards like gift cards and products as incentives. 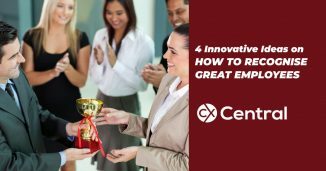 While these things may be nice to incorporate as an occasional perk or contest prize, using them as your sole incentives will send the wrong signal about why people should be motivated to do a good job. We’ve got some links to some articles below related to improving performance in a contact centre environment. 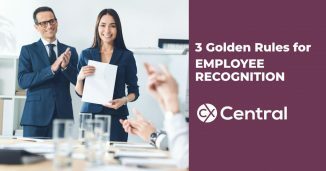 We reveal 4 innovative ways companies celebrate their employees that go above and beyond the standard reward and recognition programs. 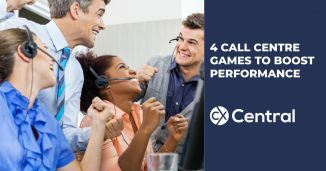 We’ve got 4 call Centre games to boost performance and engagement in your contact centre that are easy to set up and don’t cost a fortune. Great to use in inbound, outbound sales and service.